This thing looks like it packs a punch. A new weapon is coming to Fortnite: Battle Royale tomorrow alongside a slew of other content in the 3.0 update, and it looks like it’s a beast. The newest weapon to join the arsenal is a hand cannon. The devastating massive magnum looks to pack a huge punch, as the short clip in the tweet below will show. The teaser certainly makes it seem like the hand cannon can take out wooden planks in one shot. If so, that would mean it’s incredibly powerful and likely to be a new favorite when fighting it out online. The hand cannon was teased earlier in the day in a picture on Twitter that shows a John Wick lookalike. 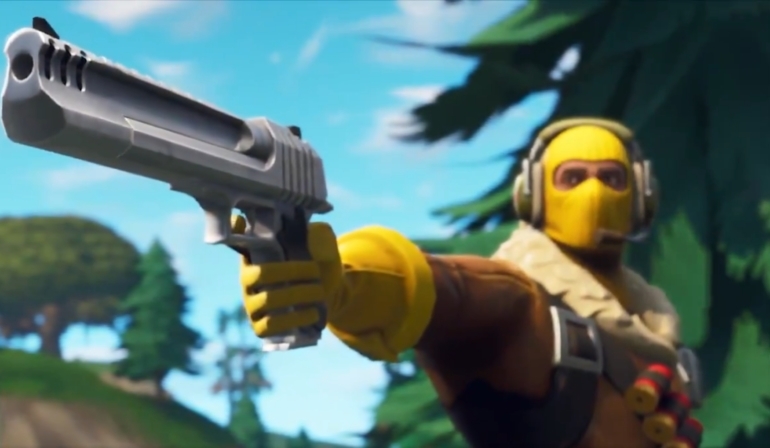 The character is holding the gun, and tomorrow, players might get their hands on both the skin and the weapon. Fortnite’s 3.0 update is scheduled to go live in the early morning hours of Thursday, Feb. 22, after some server downtime.